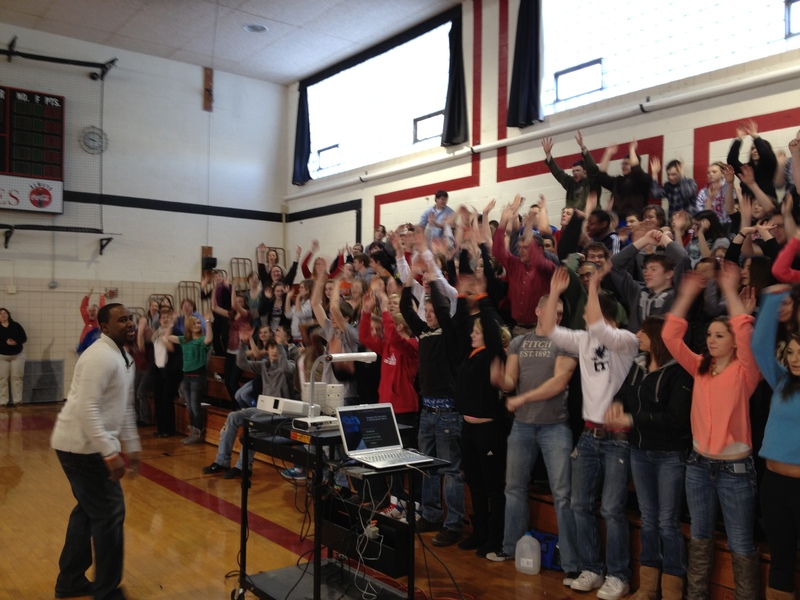 Indian Creek H.S Was Amazing! Indian Creek High School located in Shabbona, IL got the Rah-Rah and the results, as Youth Speaker Quentin Whitehead delivered his signature talk “It’s Possible”. Nearly 250 students were inspired by his anedotes and passion to help them purse their dreams. The phrase “It’s Possible” is something that he instills into his audienes to give them the belief, that whatever is on their radar for success is obtainable. Whitehead is a product of this thinking! He teaches that anything is possible, even if you do not neccessarily belief in your abilties. Quentin is fully convinced that “belief” is the first key to unlocking any other facet of ones life and the awesome students of Indian Creek got exactly that. Several hours after his talk, the tweets of gratitude started pouring in. Many students thanking Quentin for his visit and most of all his words. A great deal of students sharing their prospective on how Quentin impacted their life. Some even emailing him at his inspiration@qwhitehead.com, to share in depth on how his visit inspired them. The students of Indian Creek High School were amazing and Quentin looks forward to their success in high school and beyond.